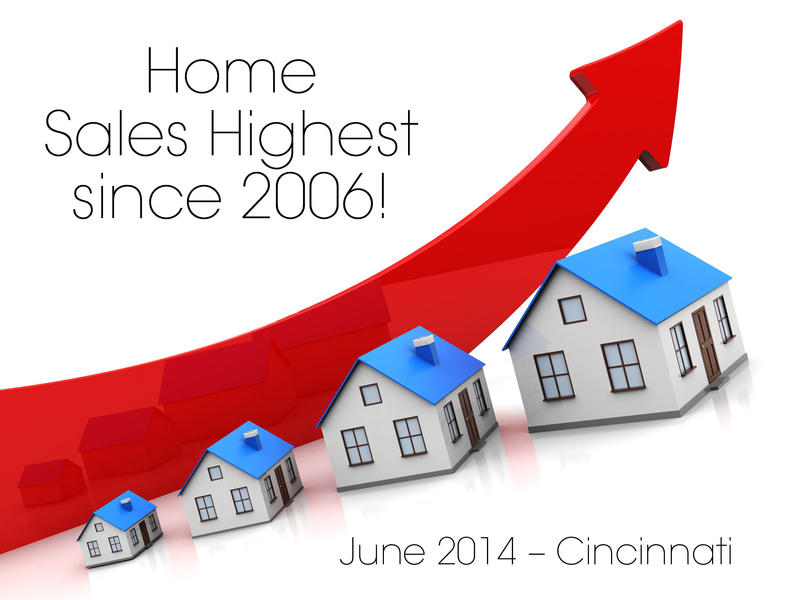 Cincinnati June Home Sales Are the Highest Since 2006! June Cincinnati home sales were 5% higher than June 2013 and the number of closings for the month were the highest since 2006. The average price of homes sold has increased year-over-yeard for 28 consecutive months. The inventory of homes for sale is down 7% from the same time last year. Lower inventory along with higher buyer activity (and still-low interest rates) have pushed home prices higher. This entry was posted in Buying A Home, News, Real Estate, Selling A Home, Statistics and tagged Cincinnati June Home sates by susanaknabe. Bookmark the permalink.